There are 9 reviews of Déclaration L'Eau. 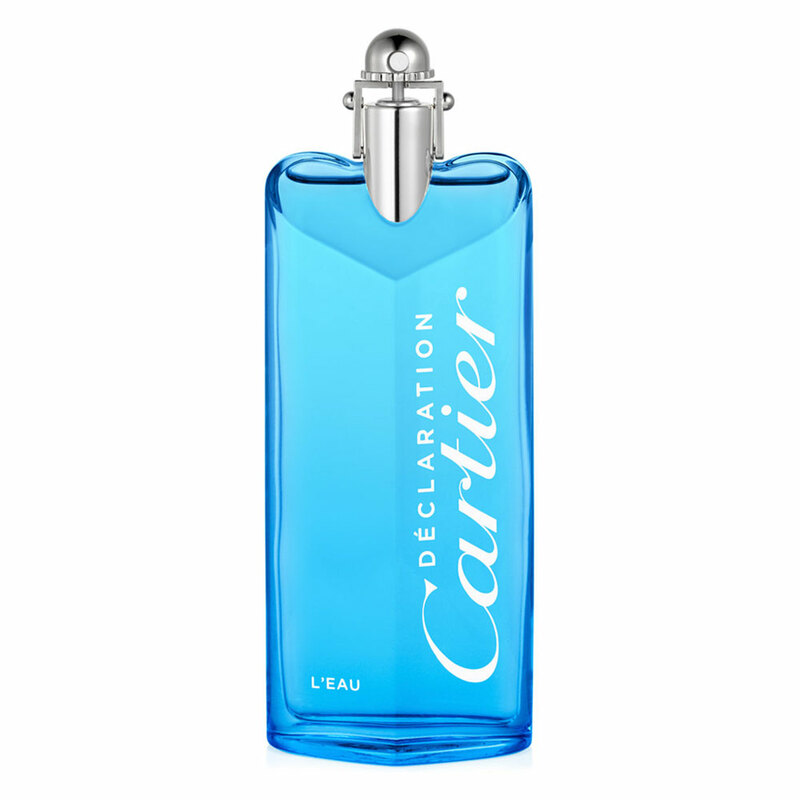 Don't get fooled by the "L'EAU" blue / Fraiche type of Declaration version here. This is very close to the original. The citruses are gone in a few minutes, and You're left with just a bit lighter Declaration DNA - which in this version only is acceptable, not so powdery overwhelming. It is strong though. To me this is obvoiusly not a fresh/summer scent. Great stuff tho. Not everyone will like it. PS - it's discontinued now. Declaration L'Eau is a lighter version of the original Declaration, which can be a bit strong. It is bright and sunny, fruity and woody. The pepper gives it a spicy touch. It lasts a very long time on me. Perfect for summer days. I love it!! Declaration in any form, even L'Eau, is tough for me to appreciate but my wife likes it, so I'll go with neutral. She says it reminds her of a nice spa smell. L'Eau is lighter and fresher than the original Declaration but there's still plenty of peppery cumin in the opening along with the sour grapefruit/skittles top. Later, the skittles dies down and you're left with only the Declaration "BO" DNA. Even further into the drydown, the cumin goes away and what's left is floral and powdery fresh. This seems very versatile. Suitable for all occasions and climates. Projection is good and longevity is excellent on me, lasts all day and night. Quick review. This is really, really good! I started to find the original and essence versions getting a little too strong. I stopped wearing them after a while. This is a refreshing flanker that resets my love for the former two that I mentioned in a great way. I love the grapefruit and pepper combination added to the JCEllena DNA. Kudos to Mathilda Laurent for flawlessly adapting materials into something almost even better than the original. Certainly a better offering for the warmer months. And at $25-$35 for 3.4oz, this is a no-brainer. Just got a bottle of this wonderful potion recently. Déclaration L'Eau takes the shrill spicy-woodiness of the original and douses it with a healthy dose of grapefruit and pepper. Simple, yet evokes reflection of a nice walk on a warm, clear, fresh sunny day, better suited for warmer weather in casual/informal settings. 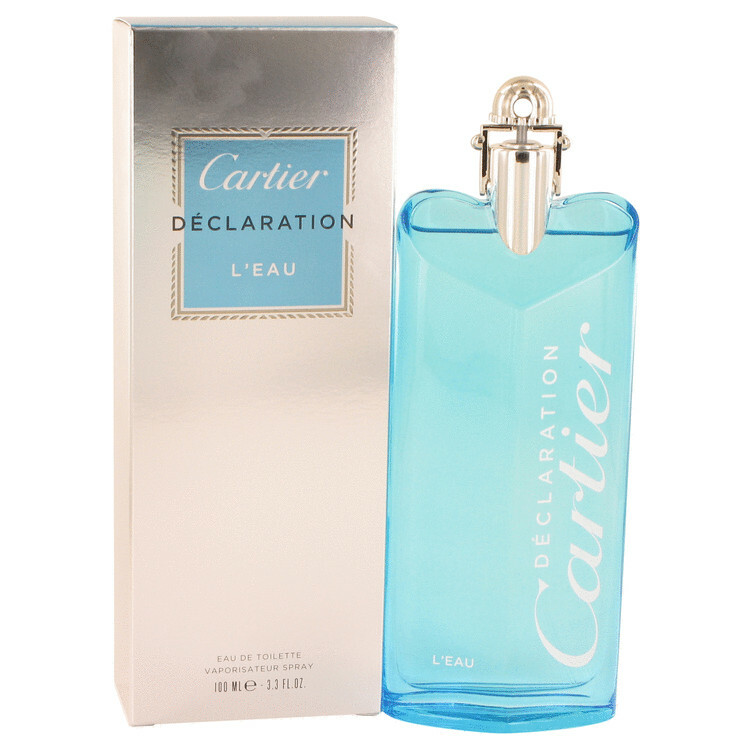 If you are familiar with the original Déclaration by Cartier and would like a to experiene a nice toned-down version that with a nice aquatic touch, Déclaration L'Eau is the one to try...along the lines of its predecessor from several years back, Déclaration Bois Bleu, which is similar in many ways. a nice lighter, more fresh version of Declaration. the "dirty" notes from the regular, are replaced by fresh citrus and greapfruit. i still prefer the original, but this L`Eau version is also very nice. it`s one of the best flankers of Declaration. Perfect for spring and summer. Cartier Coffret/set In Box(4)Declaration,Lâ€™envol,eau De Cartier.Wrapping Free. There are no member images of Déclaration L'Eau yet. Why not be the first?